Background. The water in an immersion heater is heated by a 3kW element and usually takes around two hours to raise the temperature to the maximum throughout the whole tank. The average cost of electricity, day-rate, in Ireland is around 20 cent/kW hour and therefore its an easy sum; 3kW X 20 cent X 2 = 120 cent or €1.20. 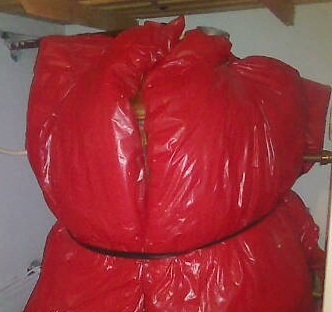 Once the water in the immersion heater is heated to the maximum, which is approx. 60 degrees Celsius, a thermostat kicks in and turns off the element. If the immersion heater is left on, when the water starts to cool the thermostat will keep turning the heater on when necessary to maintain the water at a high temperature. The rate at which the water cools will depend on the quality of the insulation surrounding the tank and of course whether any of the hot water is used. I hope that answers the question. Is it cheaper to leave the immersion on constantly or turn it on every second day or so to heat enough water to have a shower? also how long would you need to turn it on for in order to have 3 showers? Or to fill a bath? It take about 8kw of water to heat a cylinder from cold. ( 150 litres tank from 15 Degrees to 60 degrees). A bath takes approximately 60 litres of hot water so it will take about an hour to reheat the cold water that comes in. Showers use about 6 litres a minute so a 10 minute shower is like running a bath. I have a solar system provision installed, with 300l tank. No solar panels installed yet. Should my tank be insulated or are these type tanks insulated? Typically these large tanks are already insulated. But you should simply contact the manufacturer/ supplier to check. I have a larger that usual immersion tank. Perhaps 4.5 feet high. The heating “element” was recently replaced but I do not seem to have a much hot water with the new element. QUESTION: Since I have a bigger tank should I have a longer element? Is it likely that the new element was not as “long” as the old and therefore only the top of my tank is heated.